Seeing as geography was never my greatest strength, it took me a while to realize Morocco is just 31 kilometers south of Spain. 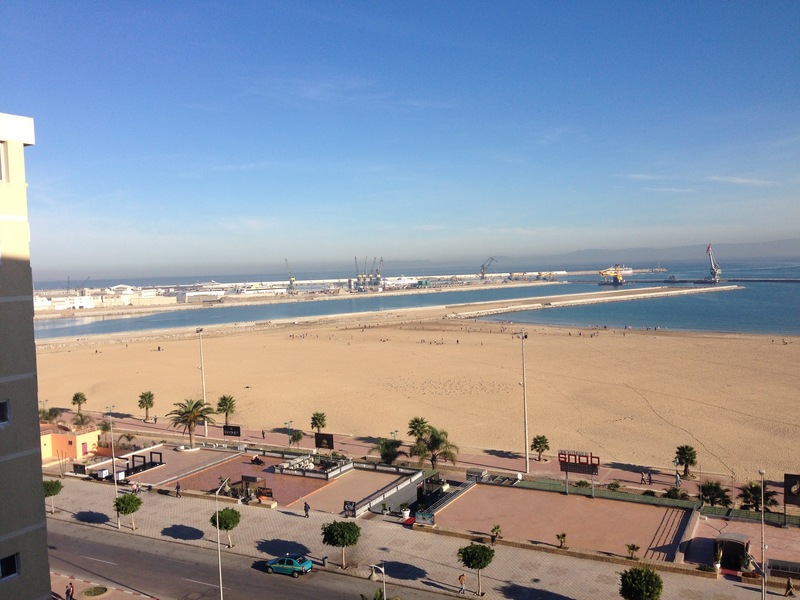 An hour long ferry ride across the Strait of Gibraltar, and you’re there. As soon as I knew Africa was so close, I had to go! 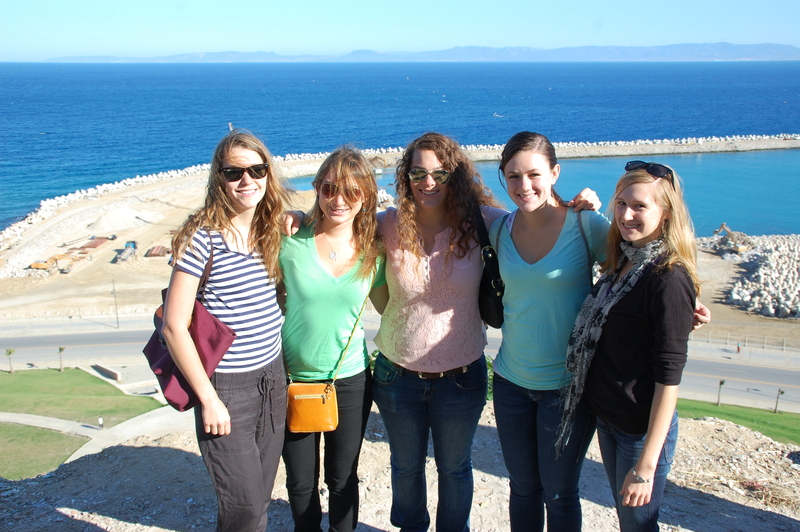 I went with a group because I did not feel confident to navigate a new continent alone. Our guides wore traditional dress (yes, robes like you are imagining), but said they really only wear those for us. 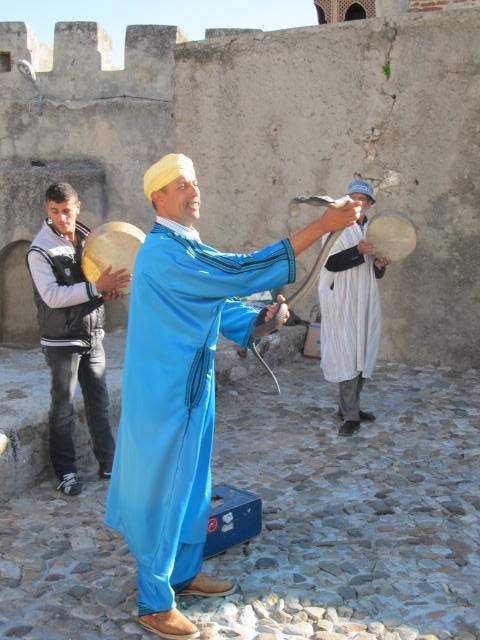 We stayed on the beach, so I saw the tourist part of Tangier, but I also had the opportunity to visit small neighborhoods. The hotel view was okay, I guess. 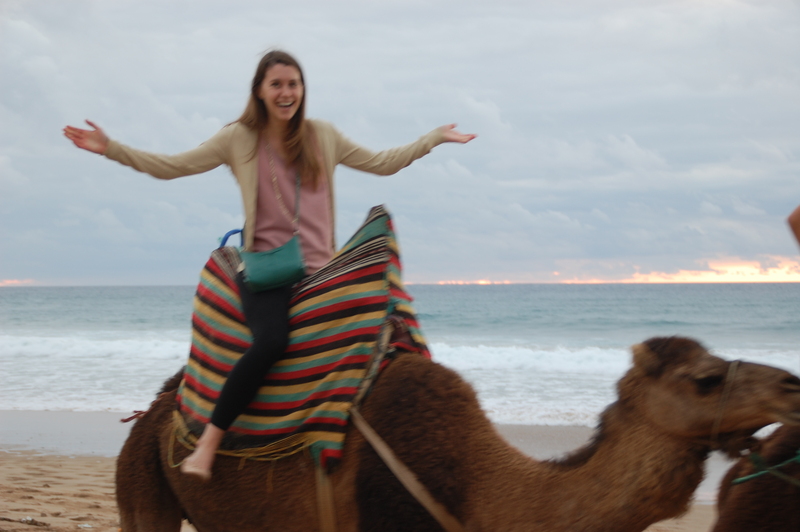 Some highlights of the trip: Moroccan food, rugs and camels. Everyone said I would get sick from the food, but after three days home, I’m healthy! I ate delicious couscous, tagene and crepes. Also, I drank traditional tea with every meal. They drink green tea with mint. It tastes like a mojito without alcohol, so it’s really not a problem to eat it with every meal. 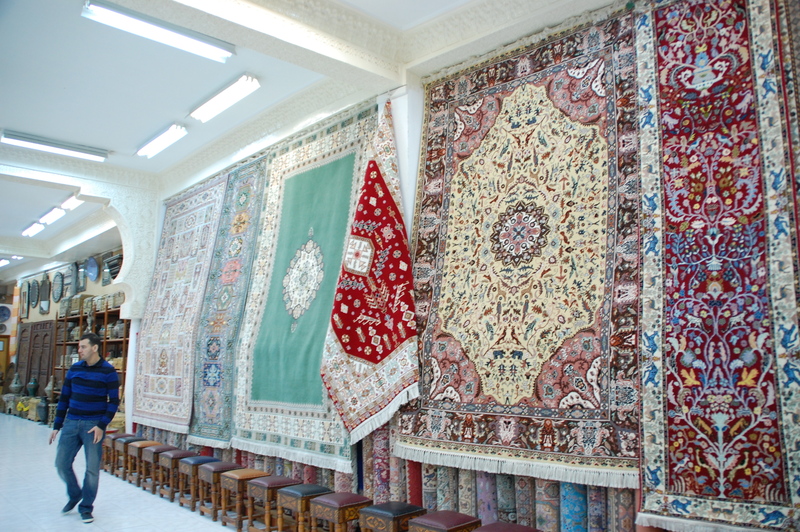 I also bought a Moroccan rug, which seemed like a great idea at the time. Looking back, I probably could have spent that 35 euros on something I needed more, but after negotiating the price down, I couldn’t not buy it! Then, I rode a camel on the beach while the sun was setting. It was as incredible as it sounds. 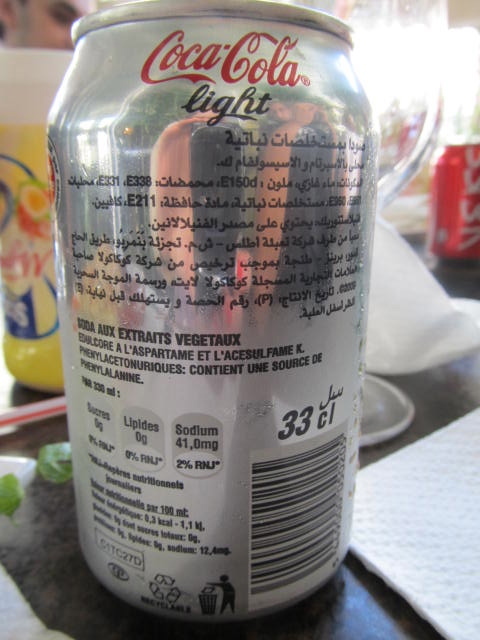 Only a few restaurants in Morocco serve alcohol, but they all serve Coca-Cola in Arabic. Of course we found wine at the hotel bar, but my friends and I were more interested in the popcorn they served with the wine. The bartender loved us the first night and came out with double popcorn the second night! The girls enjoying the sun. I started packing. I leave for Madrid Friday, August 30, so I know it’s time. To give a little background, I can bring only what fits in two 50 pound suitcases. 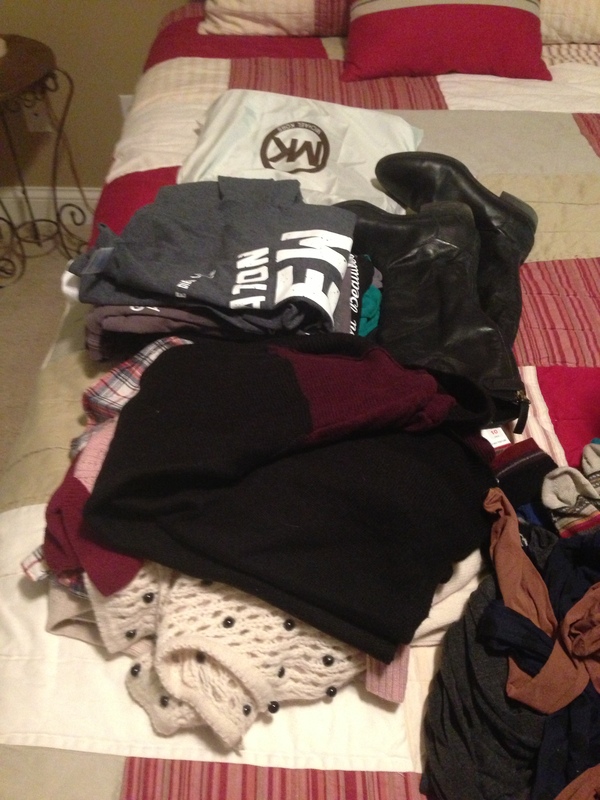 I’m packing for four months in two suitcases. Just the thought of it makes me worried. Technically I started yesterday. 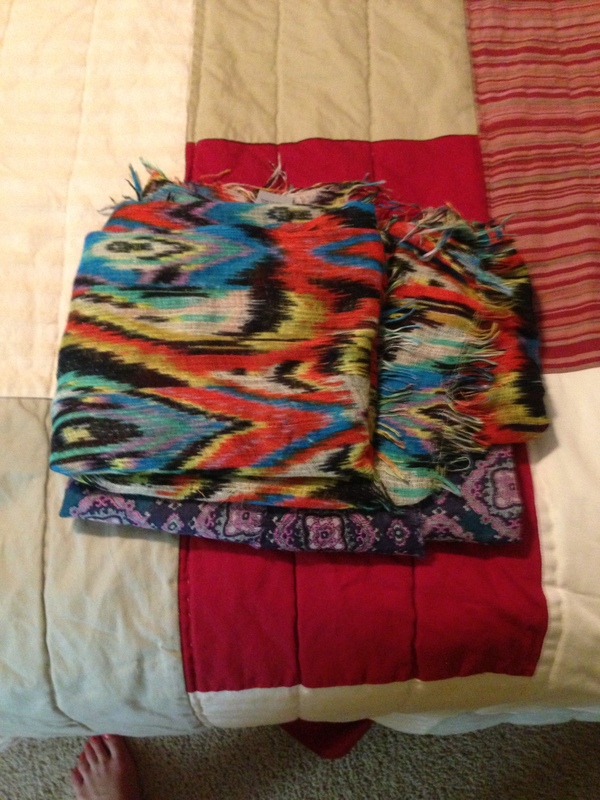 However, this is as far as I got (laying two scarves on the guest bedroom bed). Today I added a few more things, still to the guest bedroom. Next step: suitcases.